After 4 years of work the PDS version 1.0 was released in Nov 1984. Between the years 1985 to 2009 new versions were released each year. They had complete rewrites to show new features and new developments. In 1992 Version 2.X was released. At which time there were 3 PDS programs. 1) PDS Stinger. 2) PDS Block. 3) PDS Panel. 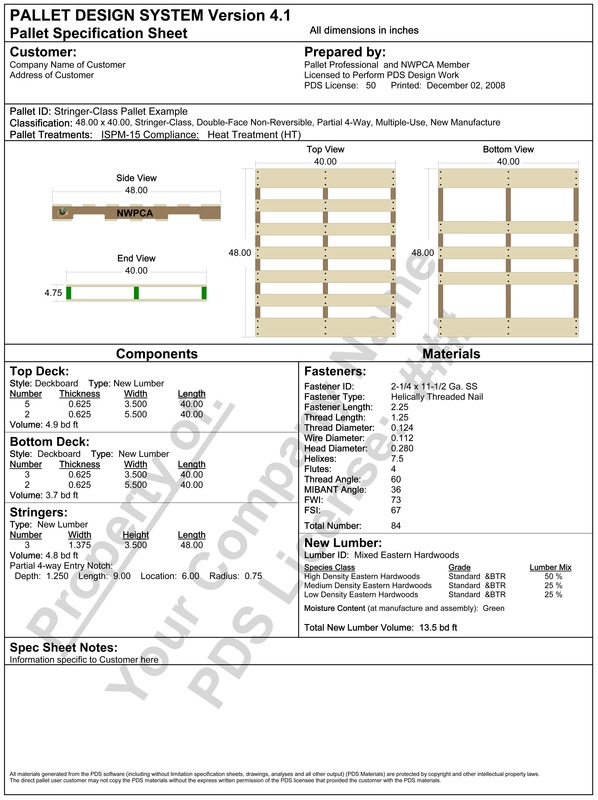 New mechanical property data for most types and grades of components were developed. Version 3.X came out in 1999 with this version a single Windows program replaced the 3 DOS programs. Also introduced was a new engineering based simulation to predict pallet durability. 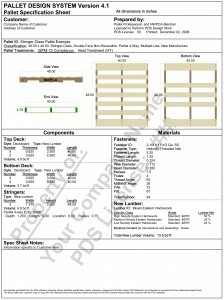 Design of remanufactured pallets, effects of moisture content percentage on pallet performance, and pallet component grades were standardized and simplified.